So after our trip to The Motor Museum at Beaulieu, we had a whole day and a half left to explore Dorset. 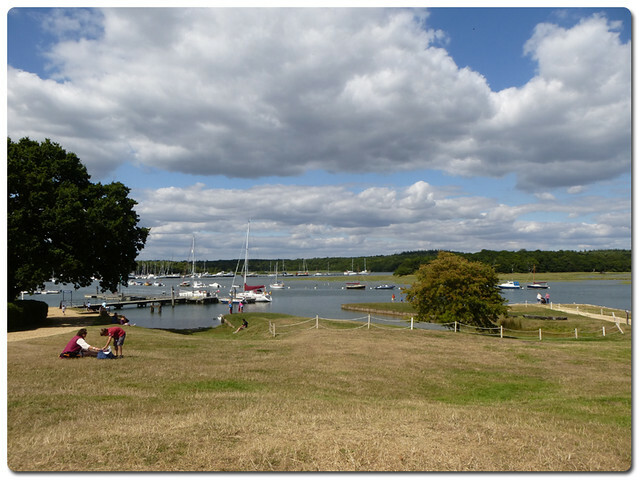 When we were in the Beaulieu attraction we noticed a few posters for Bucklers Hard an old ship building village further down the river. It looked interesting and seemed to fit nicely with the easy going ethic for our trip so we hopped back in the car and pootled along the road a bit. If we had known how close it was we really could have walked and enjoyed the sunshine as it is only a couple of miles. Next time I think that will definitely be part of the plan! 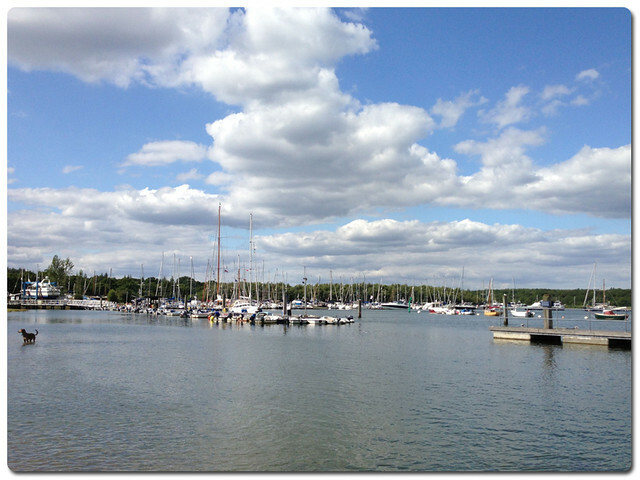 On arriving at Bucklers Hard, we were greeted at the gate, parked up and went inside. We had a quick wander around the exhibit telling us all about the history of the village and the sort of life the people would have lived there, but it was really the harbour that appealed the most. we walked round into the main stretch of village that leads onto the harbour and oh what a view! We wandered down until we were about level with the pub and just sat on the hill for a while enjoying the peace and quiet. After a while we went for a wander along the actual harbour path and admired all the fancy yachts, even having a look at the ones in the ship yard through the gates (you can't go in there for obvious reasons) I don't think I have ever really seen lots of boats out of the water before, I found it quite interesting to look at. We chose not to go on the boat tour as we would have had to rush to catch the next one, and instead just enjoyed the scenery along the walk towards the village (where you can see the old duke's bath house, which is oh so cute!) but I think the tour is a great idea and a tempting part of the attraction as it only lasts 30 minutes so doesn't swallow up the whole trip, it is something I would like to do next time. After a peaceful afternoon we wandered back to the car (I had to have a quick look in the shop first, lots of cute little items) and headed back to the B and B having thoroughly enjoyed the whole Beaulieu excursion. 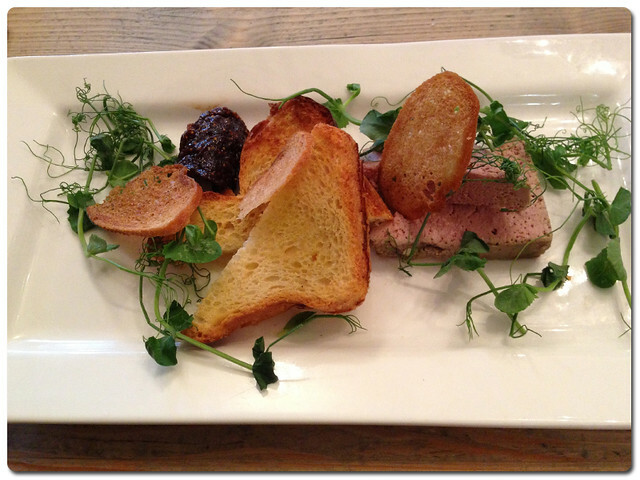 Of course while we were staying in Dorset we had to find places to eat, and boy did we eat. 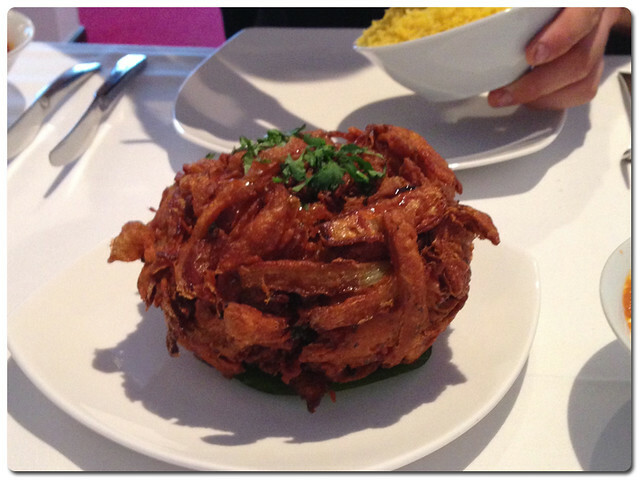 Our first night went to a local curry house Mango on recommendation of the owner of the B and B, she said try the Onion Bhaji, so we went along and ordered it. This football of onion arrived and it was delicious! We didn't finish it, but couldn't waste it either so took it with us for the car journey home, I think it may be worth going back just to buy another! On the second night we found a lovely pub in Broadstone called The Goods Yard, which has mixed reviews on trip advisor but which was lovely when we were there. The staff were polite and friendly, and the dining room was beautifully furnished. It had the potential to be closed off from the actual bar to make it more private too, but on a monday night the bar wasn't too rowdy so it wasn't necessary. I had the Pate to start, he had the Wasabi Spring Rolls. 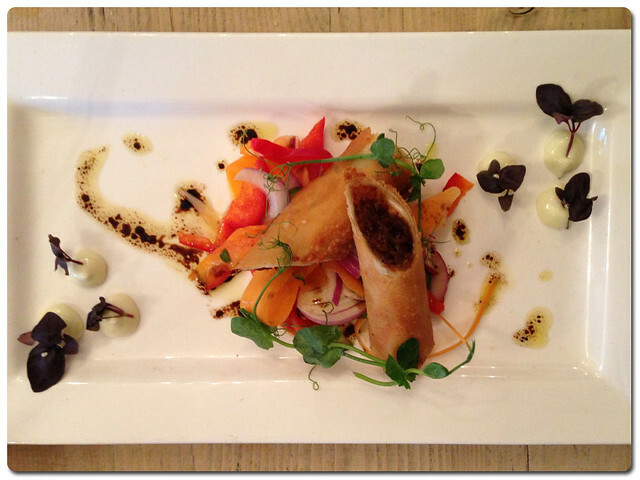 The portions were generous and beautifully presented for all courses. And then I had the best fish pie I have ever tasted. 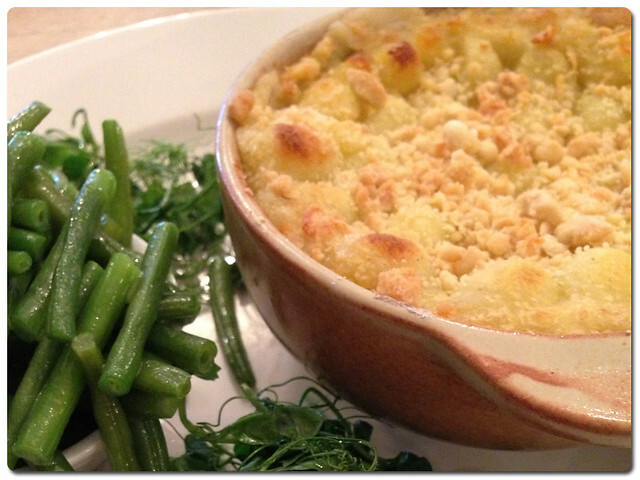 I don't honestly know what made me choose it because I normally hate fish pie, but this had an amazing parmesan crust and I just couldn't stop eating it, even when I was about to burst I just had to have one more bite! We went back to the B and B very satisfied but struggling to walk up the hill. The next day was our last, as we were heading home that evening, and there was only one thing we wanted to do. 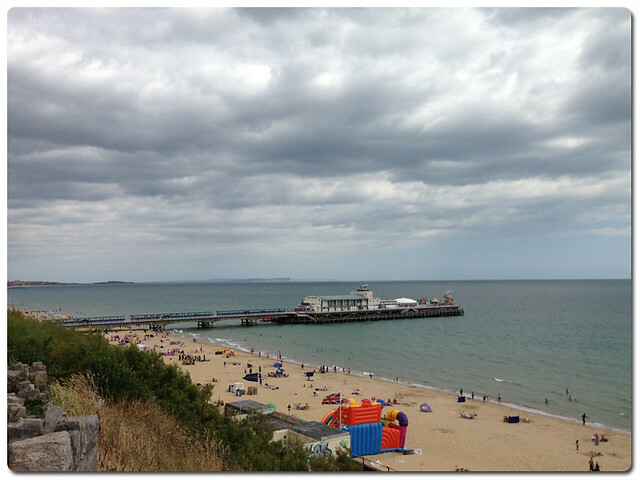 The weather had held out and we were on the south coast so of course we had to go to the seaside! 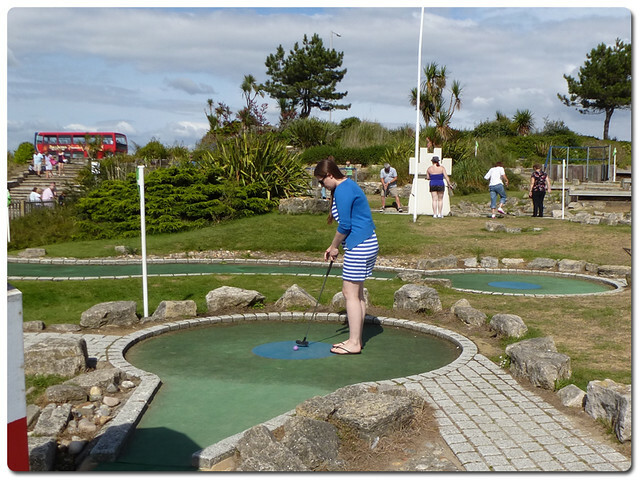 Initially we went to Poole which we were nearer to, and enjoyed the famously beautiful sandy beaches at sandbanks, where we had a wander and a cake from the cafe, and then embarked upon our favourite seaside past time, crazy golf! I actually sustained a painful toe injury by having to walk on the rocky bits not the path when my ball went off course, but I won't show you that. It really hurt. After we had had a wander along the sea walls at Poole we decided to head to Bournemouth for our other favourite seaside past time, the amusements. It just isn't a seaside trip without wasting some 2p's if you ask me. 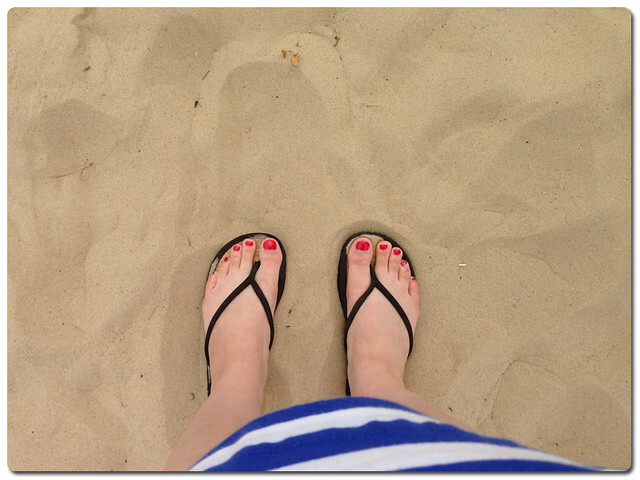 After a nightmare trying to park, and ending up parking on the other side of the main shopping square, we wandered down to the actual beach and took in the atmosphere. Although the pictures look cloudy it was very warm and really quite busy on the promenade, so we wandered up the steps of the cliff to the very top to take some pictures and get away from the hustle and bustle. Before we left I had to get some Candy Floss. Right at the entrance to the pier is a little shop where they make it fresh for you and put it on a paper cone like you see on american shows when they go to the fair. The seaside near us you can only get it in bags so I was very impressed. I was even more impressed by the size of this thing, it was bigger than my head. I have comparison shots but I look a bit like a loon so you will just have to imagine it, suffice to say my grin stretched wide when the sugar ran out and instead of handing it over he added more to the machine! After wandering back to the shops and a small stop at boots for a new nail polish we hopped in the car and headed for home. We had such a lovely relaxing time in Dorset, and I can honestly say that I would go again in a heartbeat, it is a beautiful piece of the country and I know there is so much more to explore than we managed. I highly recommend a visit!